Pelican Preserve Golf & Country Club - Fort Myers - Hourly MLS Updates! Pelican Preserve, Fort Myers, Florida 33913 is a 55 plus golf community for active adults. Pelican Preserve offers a wide selection of activities in the community. The 70,000 square foot town center is centrally located in the heart of the community and is a favorite gathering place for residents. Fabulous food too!There is a recently completed 24,485 square foot Golf Clubhouse. This is a spectacular new amenity for members to enjoy after golfing the 27-hole course. Find your home, Villa or condo in this community. If you need more information about Pelican Preserve or other Fort Myers Real Estate, feel free to Contact Shellstar Realty. Our Realtors have many years experience and can help you obtain the best price on your real estate purchase! Search other Fort Myers Golf Communities. After residents of Pelican Preserve voiced their concern to Fort Myers City Council, legal teams representing the Pelican Preserve developer and the community found common ground, agreeing to terms Tuesday morning. The agreement meet resident demands and allows the developer to grow. Monday night the City Council approved the addition of 180 acres. While residents were not against the addition, they had concerns about safety and new amenities that they felt should come with additional growth. The community — about 100 residents showed up Monday night — was so passionate about the issue, the meeting had to be moved to Harborside Event Center in downtown Fort Myers . Developer WCI Properties agreed to erect 1,200 feet of fence around the community by the end of 2015 and had plans to build between 300 and 400 more homes on the new 180 acres.. While many issues were completed by legal teams Monday night, both sides hammered everything else out and came to an agreement Tuesday morning. According to information provided by the developer’s attorney, WCI will make enhancements to the village center by the end of the 2016: a second outdoor swimming pool, construct two additional group fitness areas, renovate current fitness areas and upgrade the locker rooms. Homeowners had argued that the current amenities were too overcrowded and additions were needed if the developer was acquiring more land. 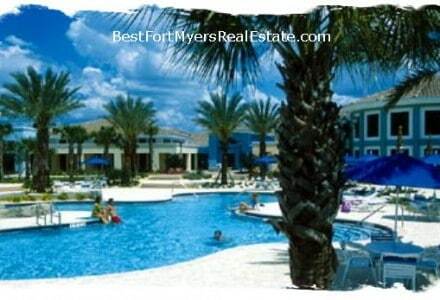 View other Fort Myers FL 55 plus communities. Pelican Preserve, Fort Myers – Easy to use and Up to Date MLS search!